25 June 2010. The news from Branquinha, Brazil: "Nearly the entire population of a small village of ceramic artisans and descendants of runaway slaves survived massive flooding by clinging to two jack fruit trees and praying through a rainy night, officials said Thursday." I read this to an 11-year-old and asked her which she thought saved the villagers: clinging to the trees or praying? She didn't hesitate. It wasn't the praying. The question was unfair, I know. Even a child knows what happens if you let go of the tree you're clinging to. I didn't ask her if she thought the invisible friend of these villagers had anything to do with enslaving their ancestors or drowning their village. “It was a true miracle,” said Adriano de Araujo Jorge, president of the Alagoas state environmental agency. 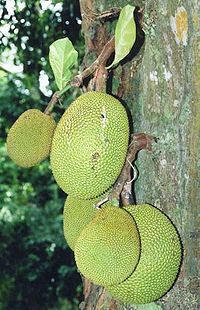 Then, as if driven by an unnatural urge to tell the truth, he added: “The jack fruit trees are strong — most of the surrounding trees had fallen." This was no fake or false miracle, to be sure. Was it a "true" miracle. Sure, in the sense that most people use the word these days: it was an apparently good thing in the midst of a disaster. If you can't find the miracle in a disaster, you're not looking hard enough. The villagers got to spend 18 hours from their perches looking at their homes washing away with the flotsam. The news that the floods killed 25 people and destroyed the homes of 120,000 others may or may not have cheered up the villagers as they climbed down to the sound of a marching band and priests hurling benedictions, urging the surviving artisans to look at the bright side: "God helps them that help themselves, and all the rest of that stuff." p.s. To the believers who telepathically inform me that the invisible guy in the sky designed the universe so that just those trees would be in just that place at just that time to save just these people I ask: what solace do you take in the methodical killing and rampaging by flood? Well, you might say, at least the saved villagers could nibble on a tasty snack while they watched their homes float away. That's not much comfort to those who were just a tree away from salvation when disaster struck. Skeptimedia is a commentary on mass media treatment of issues concerning science, the paranormal, and the supernatural. Skeptimedia replaces Mass Media Funk and Mass Media Bunk. Those blogs are now archived.